Hungry? You've come to the right place. The combination of lox and bagels is a special marriage of deliciousness with carbs, salmon and salty capers. What more could you possibly ask for? Coming from a Jewish family, this combination is my bread and butter. As a kid, Sunday mornings were a blur of bagels, capers, onion and smear and delicious bites of lox. As an adult, I crave lox and bagels constantly and squeal with excitement when I hear a new deli has opened. Luckily for all of us, Wexler’s Deli has opened a second location in Santa Monica, CA. As if Santa Monica needed to become any trendier, it is now home to a fantastic restaurant serving up deli sandwiches all day long. Wexler’s got its start in Downtown Los Angeles’ Grand Central Market as an old-school jewish deli smoking their own fish and meat and pickling their pickles themselves. That part hasn’t changed and Wexler’s still does everything in-house making sure not to lose their tradition, craftsmanship or quality – the three things they claim to stand for and certainly seem to. When I made my visit, eyes wide, I was pleased by the hip and welcoming style of the space and greeted by the nicest server who sang my name as I placed my order. Customers filled the space and the line out the door never dissipated. My lox bagel with capers and onion appeared promptly and fulfilled all of my lox and bagel expectations. Light, flavorful and not too fishy, the lox was definitely of the highest quality and perfectly paired with the doughy yet crisp everything bagel. Let’s just say I was impressed and wished I had ordered at least two more. 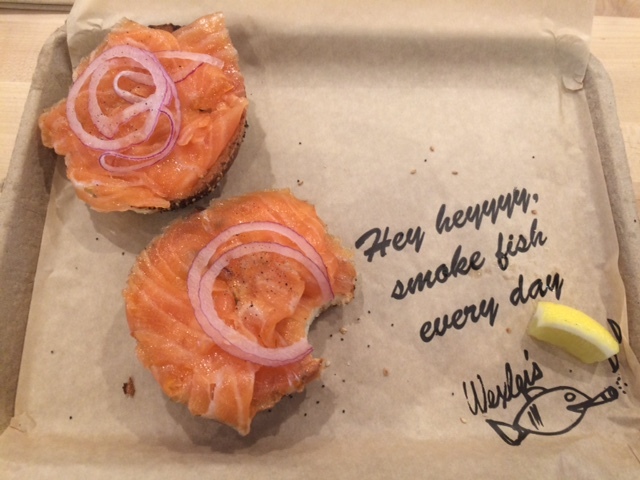 From smoked fish bagels and salads to pastrami and corned beef on rye, Wexler’s offers a mouth watering menu and cool atmosphere perfect for any meal. 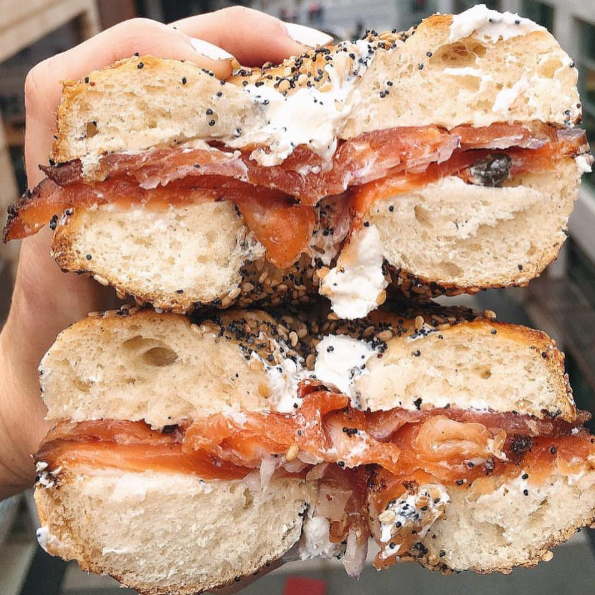 Whether you grew up on them or not, lox and bagels are foods to get excited about, so don’t miss trying the combination, or another delectable dish from Wexler’s Deli. The must-try ramen of LA's Little Tokyo.